Phoenix, AZ – September 1, 2017 – ABI Multifamily, the Western US's leading multifamily brokerage and advisory services firm, is pleased to announce the $3,850,000 / $91,667 Per Unit sale of the Park Mesa Apartments, a 42-unit apartment community located in Mesa, Arizona. Situated on Broadway Road, Park Mesa is a two-story apartment community which rests on 1.01 acres of land and was completed in 1984 of masonry/wood frame and stucco construction with extensive exterior and select interior renovations occurring in 2016/17. The property consists of 74% 2-bedroom and 26% 1-bedroom units with an average size of 783 SF. Each unit is individually metered for electric. The community features a sparkling pool, attractive central courtyard, laundry facilities and both covered and uncovered parking. The property sits adjacent to the City of Mesa's 19-acre Reed Skate Park. "Park Mesa was highly pursued by many parties during the marketing process. It's tough to find an 80's constructed/individually metered, majority 2 bedroom property of this size in the Mesa area, as well as one with significant upside through continued renovations," states Rue Bax, Senior Managing Partner with ABI Multifamily and co-lead broker with Ryan Smith, Vice President, for the Seller. Ryan Smith states, "The property's close proximity to major employment epicenters, i.e. Mesa's Fiesta District and North Tempe, allows the new owner to capitalize on the renter displaced by all the expensive new construction occurring on the interior of Tempe, yet close enough to still benefit from the new job growth of those areas." The Seller is California-based M & L Financial Properties, is a full service real estate investment company with over 500 units owned across the Phoenix Metro. The Buyer is a private investor based in Oregon. 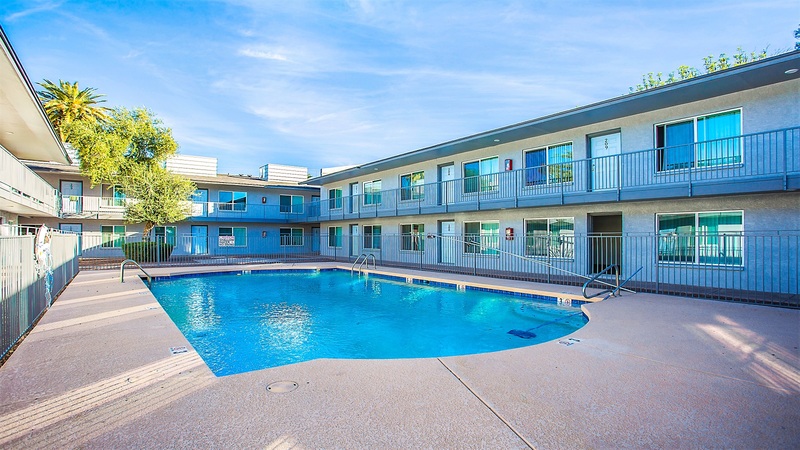 The Phoenix based ABI Multifamily brokerage team of Rue Bax, Ryan Smith, John Kobierowski, Alon Shnitzer, Doug Lazovick and Eddie Chang represented the Seller in this transaction.